Hello and welcome to Jennifer’s Piano Studio! 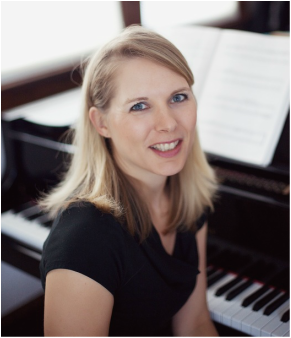 My name is Jennifer and I’m a piano teacher on the north side of Madison, Wisconsin. I teach children of all ages and also adult students. In addition to the piano, I have also taught elementary and middle school general music and choir. I have a master’s degree in music education and 20 years of teaching experience. On my website you’ll find my policies, current rates, studio forms, links to helpful resources and other teaching tools. Check out the FAQ page for general information and an overview of my studio and policies. Contact me today to set up a free trial lesson! August 2018 Update: I am currently full for the fall trimester, but feel free to contact me in the upcoming months to see if I have any new openings. When there is enough interest, I also teach a class called ﻿Little Music Movers﻿. Little Music Movers is a parent/child music class for toddlers and preschoolers, in which we sing, rhyme, move, dance, listen to music, read musical “story songbooks” and play simple instruments. Contact me if you are interested in more information, or would like to know when and where the next session will be held.